This office can help whether you need to negotiate, mediate or litigate your post-judgment divorce issues. Darren M. Shapiro, Esq. is an experienced matrimonial attorney, family lawyer and mediator that can guide you through your post judgment divorce issues. As your attorney he will advise and strategize with you to select the best course of action to deal with the issues that arise for you after a divorce. He zealously works with you to strive for the best results under the circumstances. This office litigates cases in Nassau County, Suffolk County, Queens, New York City and the surrounding areas. If a settlement can be made that makes sense for you, it will be our goal to try to get there as quickly as possible. Alternative dispute resolution techniques such as mediation and collaborative law are available and are great processes for parties that are willing to take these routes. No matter the way we need to go on your case, this office has the tools to get you through it. When issues arise after the completion of a divorce case, often times they are handled in the Supreme Court although some issues can be dealt with in the New York City or Long Island Family Courts. Some matters can only be heard in the Supreme Courts such as if there was a breach of the terms regarding equitable distribution or a property settlement. If one of the parties seeks to vacate aspects of the Stipulation of Settlement or Judgment of Divorce, it usually needs to be heard in a New York City or Long Island Supreme Court if that is where the parties reside. The Supreme Court has the authority to require that future matters involving child support, child custody, or maintenance be heard in the Supreme Court, although usually the Family Court has concurrent jurisdiction to deal with the issues that come up in the future. One reason that someone might choose to file their case in the Supreme Court over Family Court is that the Supreme Court has the power to deal with all the issues in one case such as child custody, child support, contempt and enforcement applications, and violations of orders of protection. The Family Court breaks these cases up which can be cumbersome. There are pros and cons associated with dealing with post judgment divorce issues in either the Family Court or the Supreme Court, however. For example, the Family Court usually is more expeditious; but, the discovery process is more limited in family court cases. This office has a lot of experience dealing with all of these issues in both the Supreme Court and Family Court so whatever the forum, we can help. When one of the parties to a divorce case disregards any of the requirements according to the Stipulation of Settlement and/or Judgment of Divorce, it may be necessary to bring a post judgment motion for contempt or enforcement. The goal of this type of application is to ask the Court to dole out a punishment, which could include incarceration, or to compel enforcement of the previously ordered or agreed upon terms of the divorce. Contempt allegations could be for: violating an order of protection; failure to honor aspects of a property settlement; failure to honor the custody and visitation schedule; or the failure to pay child support or maintenance among other possibilities. Besides the possibility of a civil contempt incarceration order for noncompliance, other possibilities are a financial award, modification of the prior order, attorney fees, and other possible remedies. Darren M. Shapiro, Esq. has brought and defended against many post judgment cases so please call to figure out the best approach for you. Often, one of the parties to a case needs to request a change from what was agreed upon or ordered in the divorce. 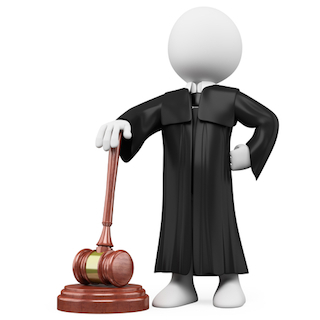 These are modification proceedings which make up a large portion of post judgment divorce cases. People need changes to child support, maintenance, and custody and parenting time schedules as time goes on. Sometimes the court will agree that a change is appropriate, but not always. If there is not an agreement to change these terms from the divorce, the first hurdle that needs to be shown to be able to proceed with the case is that there is a substantial change of circumstances from the time of the last court order to the present. For cases decided after the 2010 No Fault Divorce law, the default rule for child support is that there are three reasons that a modification can be sought. The three reasons under today’s law are that: there has been a change of either side’s income by fifteen percent or more; three or more years has elapsed; or that there has otherwise been a substantial change of circumstances. A request to terminate child support based on constructive emancipation could be made as a post judgment divorce case. If there is a substantial change of circumstances then someone can bring a case in an attempt to change custody or parenting time. The change of circumstances is only the first obstacle for a change of custody and parenting time as if there is not an agreement to make the change, the party seeking a revision needs to convince the Court that the change is in the best interests of the child(ren). Proving that a change in child support, maintenance, or custody and parenting time is where your experienced matrimonial and family law attorney comes in. It is hard to win your case without a skilled attorney. Mr. Shapiro’s training, study, and years of courtroom experience provide an arsenal of skills to draw upon to help people put their issues in the rear view mirror as soon as possible. When required, as your lawyer, he will fight for you. If possible, we will try to make a favorable settlement. This office endeavors to remain friendly and available to the people that work with us. Give us a call to see what approach is right for you. Mediating couples are invited to come in together for a half hour free consultation. Individuals that would like the representation and advice of attorney can call or schedule an appointment of their free consultation. It would be our pleasure to work with you on your case.